I have an addiction to my MacBook. I love it with all my heart, having decorated it with a lovely protective case and a Harry Potter bumper sticker, and sometimes I even feel bad for leaving fingerprints all over the screen and Poptart crumbs in the keys (that’s an exaggeration… sort of). I take it wherever I go, and when I don’t, I feel like I forgot to wear shoes or something. 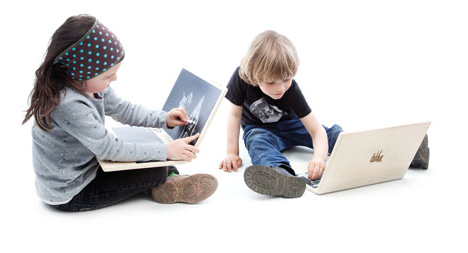 I came across this product called “iWood.” It’s a German product for kids that is basically a wooden faux Apple laptop with a chalkboard screen and a place for chalk where the trackpad would be. When I have kids, I will buy each of them one of these. It is a must-have item for the under-10 crowd. You may think that I am being sarcastic in my praise of this product, given my history on this blog of making fun of everything possible. However, this iWood thing is legit. Actually, I kind of want one myself. It’s this generation’s Etch-a-Sketch, Magnadoodle or Lite Brite. You can draw your own keyboard in the place where the keyboard would be, and then anything you want on the “screen,” and then you can close it up and tote it around under your arm to maintain your radical image. It’s a classy way for kids to stay entertained. jealous. If I need to justify this even more, I guess I could say that it’s a way to become less dependent on technology. Maybe.